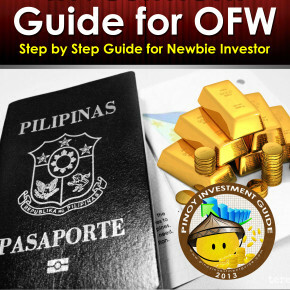 As an OFW, I am used of sending money to the Philippines with an exchange rate of 1 USD to Php 44. But there was a turn of events in the world economy that is why from last month I can see an exchange rate higher that Php 45. I know that some OFW are happy on what is happening because higher exchange rate will mean higher money will be received by their relatives. But is it really true that money value will be higher on this days? Actually it is not because the higher the exchange rate the lower the economy, It is indirectly proportional. The PSEI (an economy indicator of Philippines) keeps on going low. Most of the items that uses imported materials will definitely have higher prices. So how will you take advantage of the situation? If there are some surplus money due to exchange rate it is better be placed in an investment. If you are paying your land or house amortization at an amount of Php 44,000 before you need to send USD 1,000 to pay off your monthly amortization. Now if you send the same USD 1,000 it will be converted to Php 45,000 therefore you will have a Php 1,000 surplus. The surplus would be better placed in an emergency fund or be placed in the stock market or an equity fund. Economist knows that this will be temporary. Therefore, if you put your surplus money into an investment, the moment that the economy recovers and exchange rate become lower, your surplus money will grow. I hope OFW will take advantage of the situation and not just spend money in wants.